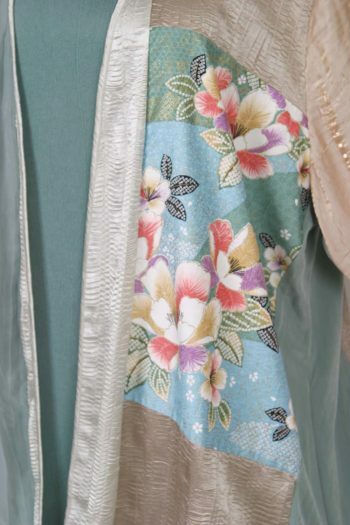 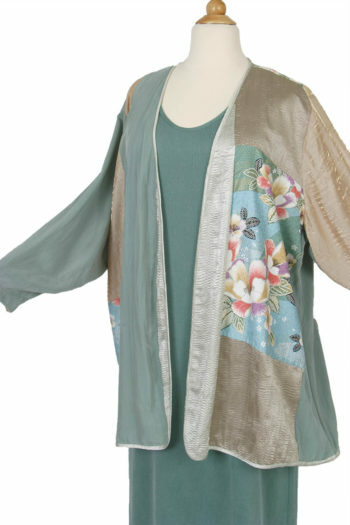 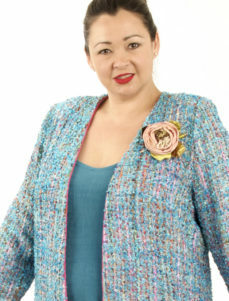 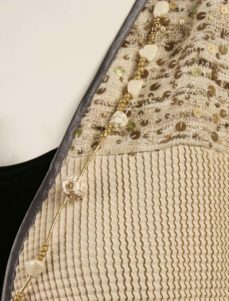 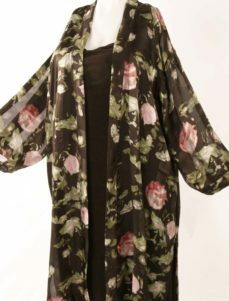 Plus Size Mother Bride Dressy Jacket Wearable Art Champagne Sage Silver Japan Print Size 26/28. 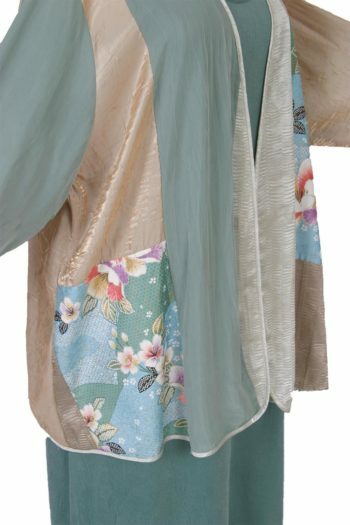 To the main Japanese floral panels, we've added rayon satins, sandwashed rayon panels. Spring and Summer special occasions call for a relaxed, contemporary style of dressedup. 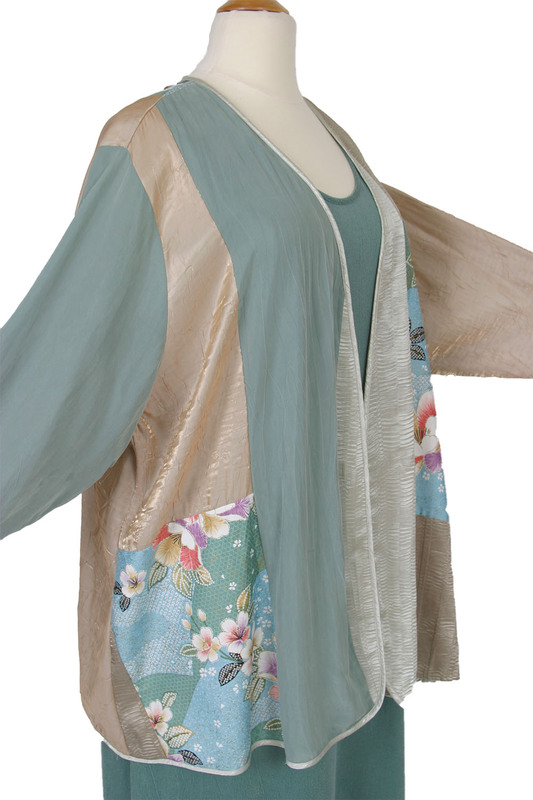 Our Daisy Jacket, slightly oversized and swingy, is casual elegance, easy to wear, comfy chic. 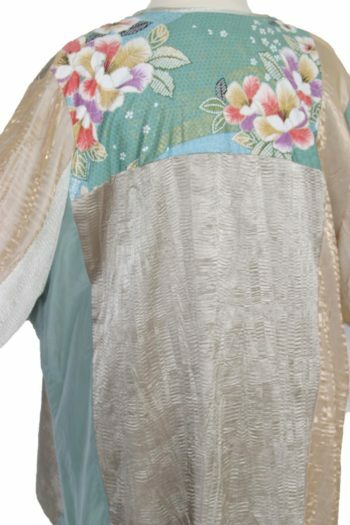 This Limited Edition includes size L (26/28). 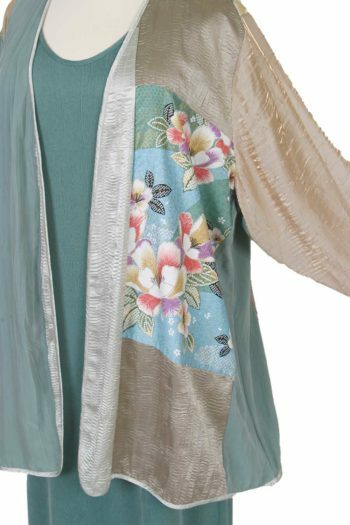 Be the first to review “Mother Bride Dressy Jacket Artwear Champagne Sage Silver Japan Print Size 26/28” Click here to cancel reply.